I think most of us can say that we’ve been on a scary roller-coaster at some point in our lives! Some of you, (like me!) may love the thrill of them with a passion and can’t get enough of them…and some of you would rather die a horrible, mysterious death than even risk yourself on one of those clunky, terrifying contraptions! 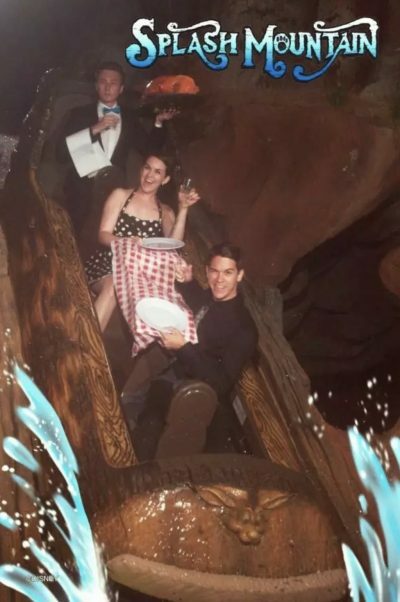 So, you wouldn’t think that being able to create an hilarious staged photo whilst you’re actually on the ride would be possible, would you!? Well, think again…as these next 15 pics prove, some people are just totally brave, give no f**ks and have no barrier to their creativity! Or they’re slightly stupid…whichever option you prefer! Hold tight! Off we go! Weeeeee! 1. Table for two, please! This is brilliant! The Butler makes it for me! & Imagine if this was their first date!? Talk about unforgettable! 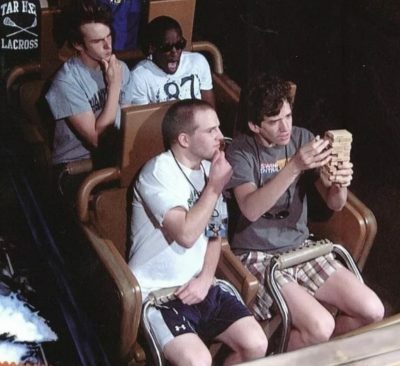 & I really want to know they sneaked all the utensils on the ride for this!? Was that guy already dressed as a butler when he got on the ride!? Hold on, he’s holding a Roast Pig! I need answers! Oh my god, please on to Simba good and tight, rollercoaster Rafiki! We don’t want anymore Lion King tragedies! Losing Mufasa was heartbreaking enough! 3. 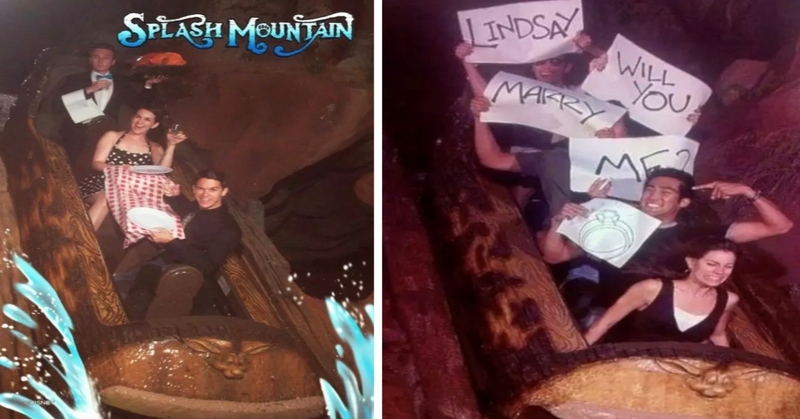 A blink and you’ll miss it proposal! I personally think that the best part about this is the fact that she’s totally unaware of what’s happening behind her! I’d have loved to have seen her reaction when she got to photo booth! & Those friends are total keepers to do this for the (hopefully) future Groom! 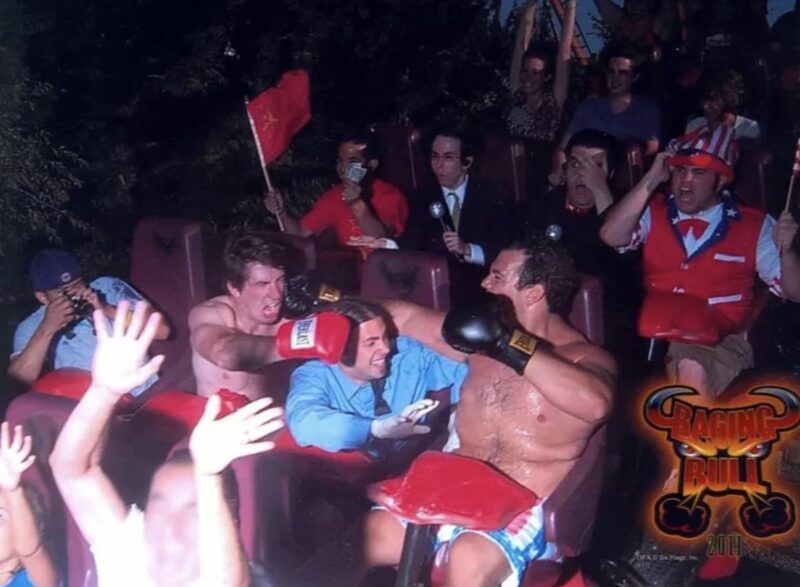 Well, when you name a rollercoaster ‘Raging Bull’, what do you expect!? It was bound to happen eventually! 5. 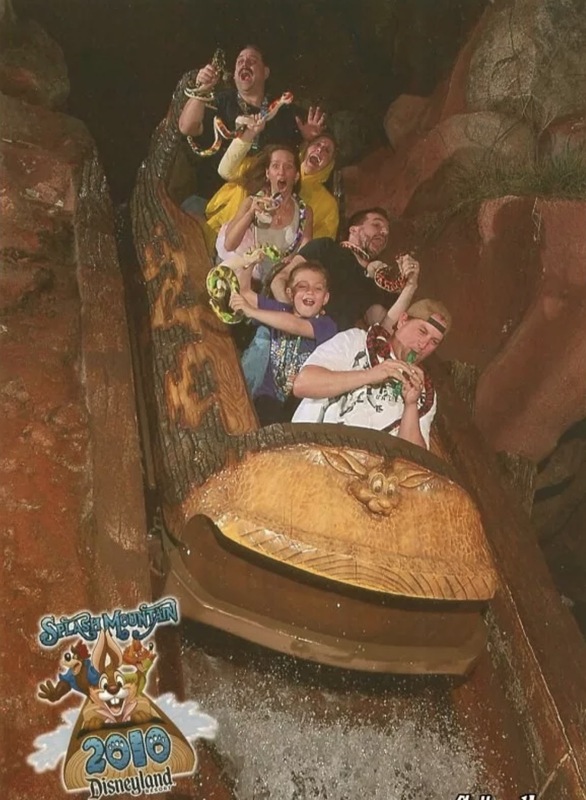 Snakes on a flume! The lesser-known sequel to ‘Snakes on a Plane!’ I think I already prefer this one! 6. Do not pass goooooooo! 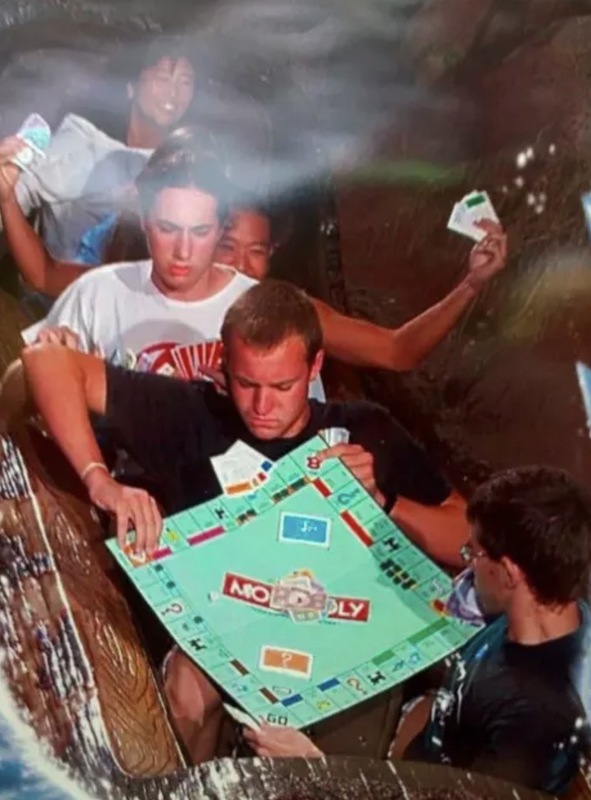 We all know Monopoly, the game probably was going on that long, they had to take it with them! 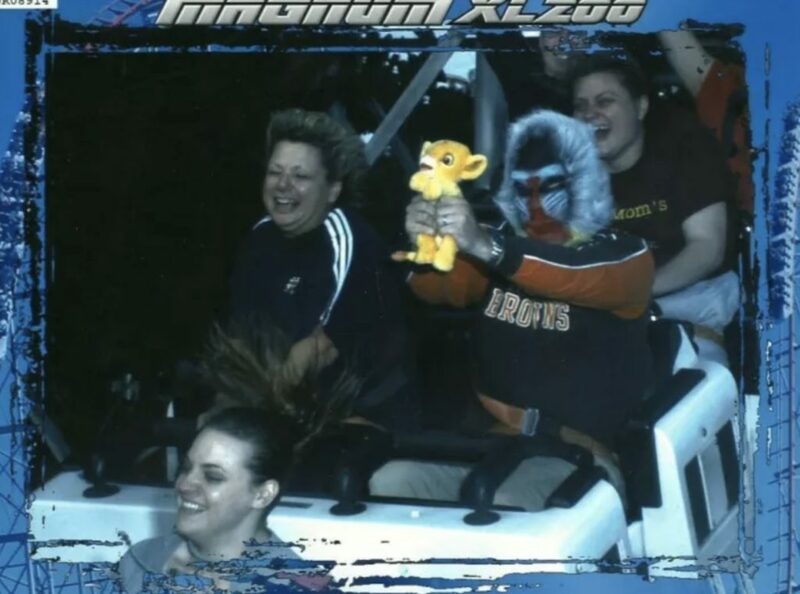 & Again…I really want to know how people are getting these props onto these rides!? 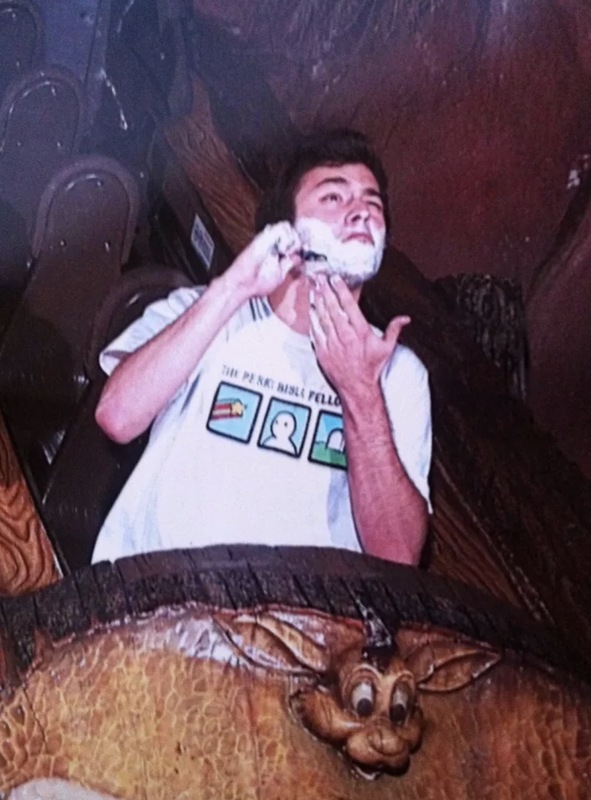 Maybe the ride staff think it’s just a fab idea and to hell with health and safety!? One wrong move is all it takes here…to be decapitated by a Monopoly board! What a way to go! I love this one! I’m actually amazed how some people even manage to pull these off in such a split second! 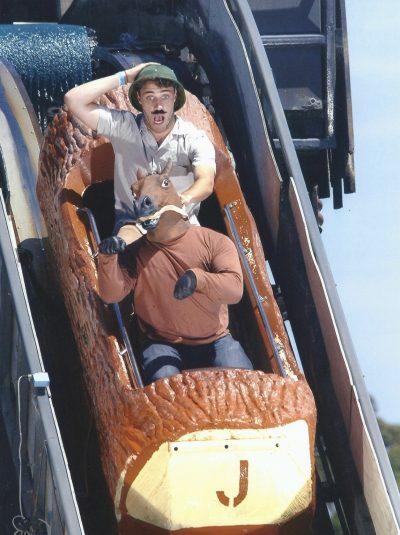 When I’m on a rollercoaster, all I can think of is how much I don’t want to die! & my end photo always makes me look like I’m constipated in a wind tunnel. So, I have much respect for these guys, I really do! 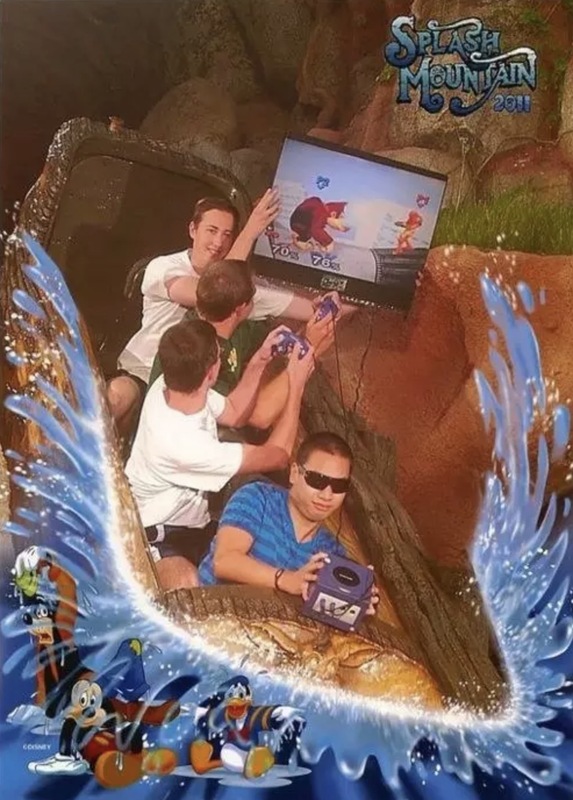 When you want to go on the ride…but you’re living for the gaming! I’m beginning to notice a trend with the Splash Mountain photos here! It must encourage this kind of mad creativity for some reason? 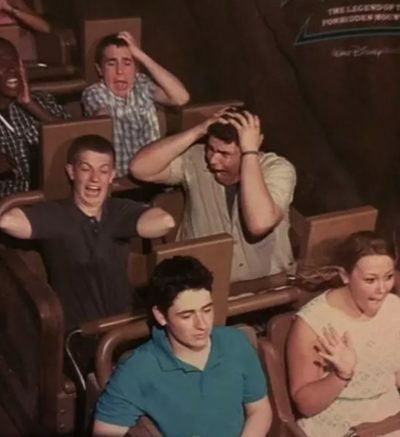 Maybe it just has some really lazy, unaware ride staff!? Or do they just not care anymore!? 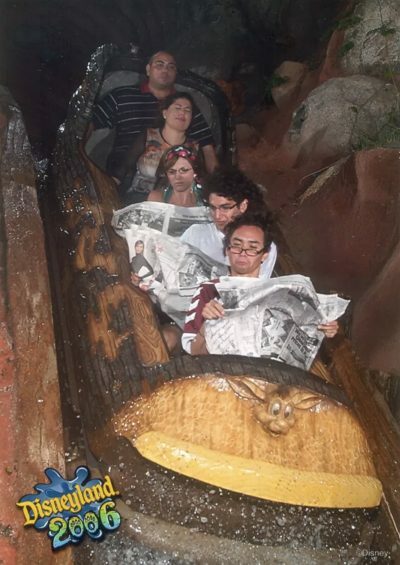 How apathetic do you need to be, to be able to just read the sports section whilst on a thrill ride!? 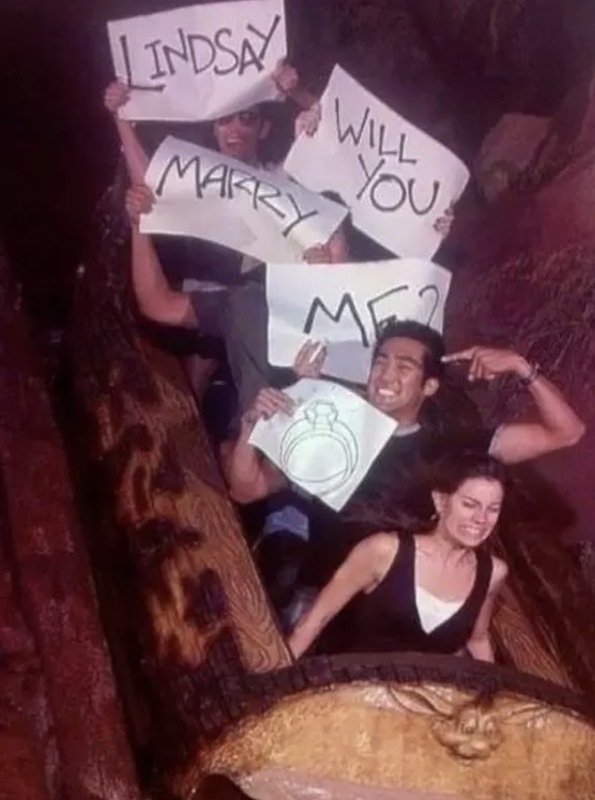 I love how the couple at the back look absolutely terrified, a stark contrast to the give no f**ks readers at the front! 10. That’s got to be a recipe for indigestion! 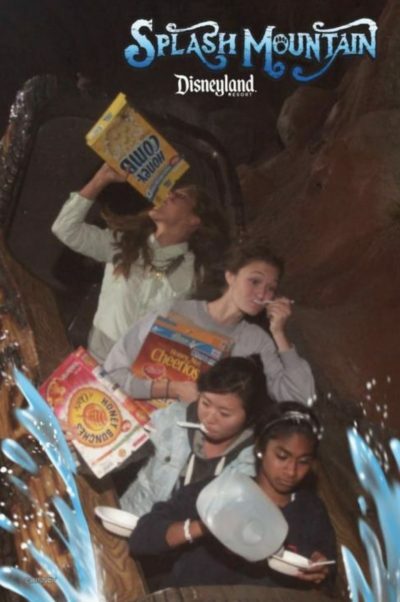 Maybe they had to skip breakfast to beat the huge queues for the rides!? Which is all fair and good, but you can bet your life that they’re going to be hammered with heartburn later! That is a brilliant, creative use of Super Glue, I’ll give them that! & I love how the guy on the second row, is the only one who looks terrified! 14. Always keep your arms inside the ride! Otherwise, they will very much be on the OUTSIDE of the ride…and across yonder! Proof that they don’t tell you that for no reason! 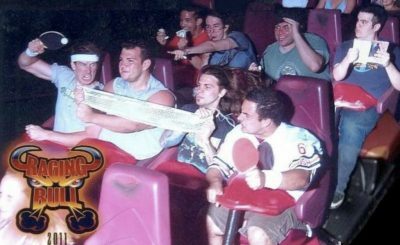 At least these guys are getting an important ride safety message across, albeit in a very unorthodox way! Maybe the health and safety team paid them to do this!? I really hope so! Wow! 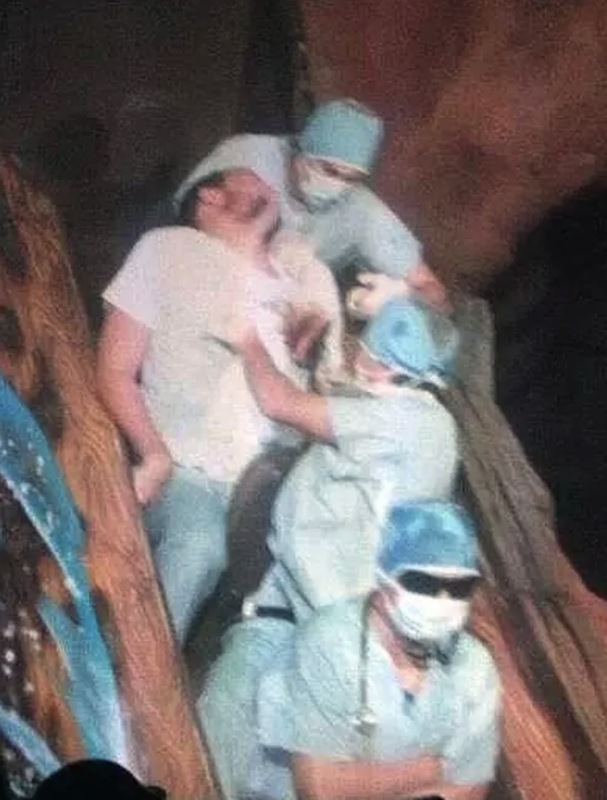 This ride must have been so scary, that the poor guy needed emergency heart surgery there and then! Lucky those surgeons were on with him, eh! ?